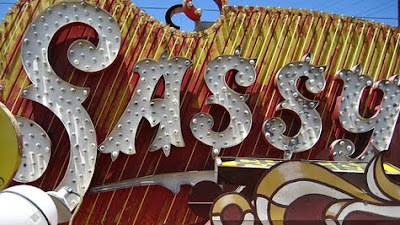 My one little word for 2011 is 'sassy'. I want to add a little more sass in my life. I am turning 60 this year and although I have a very confident personality, I could use a little sass in the area of my self image. Since I have lost 40 pounds on the G.I. diet, I have found myself so attracted to new make up and trying to look the best I can be so the word sassy is just perfect for me!